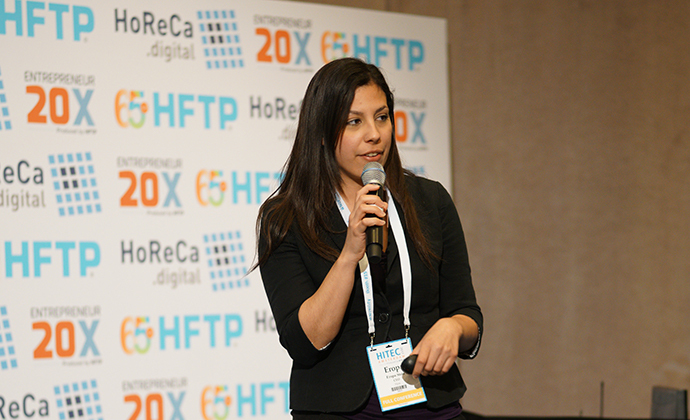 In June 2015, Hospitality Financial and Technology Professionals (HFTP®), debuted its Entrepreneur 20X (E20X) innovation pitch competition, designed for hospitality technology startups, for the first time at the Hospitality Industry Technology Exposition and Conference (HITEC®) – the world’s largest and oldest hospitality technology exposition and conference brand. Rapidly gaining popularity after its introduction at HITEC Austin, E20X has become a reoccurring feature at HITEC. In 2017, HFTP expanded E20X globally with its first European feature at HITEC Amsterdam in March and will be an upcoming feature at HITEC Toronto in June. HFTP’s E20X features entrepreneurs presenting breakthrough business concepts to a room full of HITEC attendees as well as a panel of expert judges including hospitality CIOs, angel investors, serial entrepreneurs and industry insiders. Selected startups compete for two available awards: the E20X Judges’ Award and the E20X People’s Startup Award. The E20X Judges’ Award, or grand prize, is determined immediately following the competition by the judge’s panel; the startup deemed “most innovative” takes home a trophy and $5,000 USD/€2,500 EUR. The E20X People’s Startup Award, or crowd favorite, is selected via the HITEC app by conference attendees. 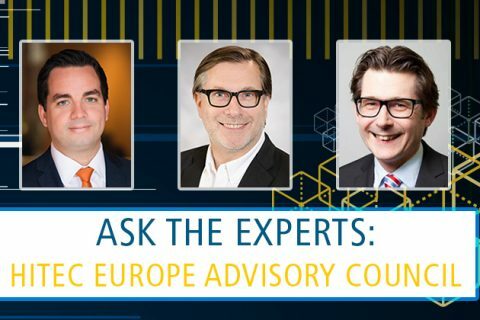 E20X judges’ panel at HITEC Amsterdam 2017. Canadian-based event staffing startup Hyre will return and pitch again at next month’s HITEC Toronto along with other leading startups featuring the latest in hospitality technology including: guestroom technology; hotel travel technology; meeting platform technology; mobile technologies; hotel security technology; and much more. Stein (ES) reflected on her E20X experience, and shared thoughts and advice on the overall event in an interview with HFTP. What was the inspiration behind Hyre? ES: While working at a staffing agency as a human resource personnel and a server, I observed the daily inefficiencies of the event staffing industry caused by their obsolete practices. 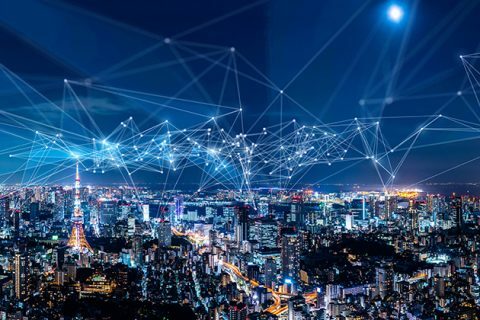 The system in place was the same one used over two decades ago, and no modern technology was being utilized to improve efficiency and convenience for all parties involved. I also noted the lack of quality control, and low motivation among staff. Having studied organizational psychology, I sought to find a business model that would alleviate the issue of low motivation and quality. Furthermore, I observed a lack of staff training which was inconsistent with the image that staffing agencies portrayed [of a] “highly trained staff.” Overall, I realized that event staffing agencies charged hefty fees and provided little value. 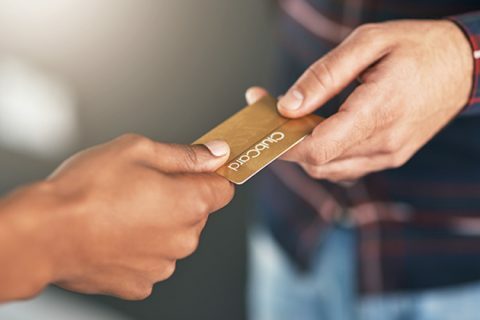 Hence, the development of a novel business concept – one that would assist in connecting event staff with event organizers without a staffing agency (the middleman), and ameliorate many of the inefficiencies within the industry – was required. My solution was that of an online platform which would address this gap in the market. Looking at other similar models such as oDesk, Elance, Amazon, eBay, AirB&B, etc., I projected that such a platform would revolutionize the event staffing industry. What was the biggest obstacle you faced in the time between concept and Entrepreneur 20X? ES: First clients are always tricky to onboard, but [Hyre] did not really have that issue. We onboarded our first two clients our first week! Now, onboarding a very well-known client was a bit trickier. 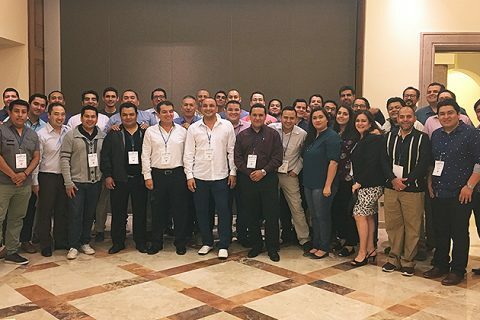 We had to have positive reputation before any big fish took us seriously, but within six months after launching, we finally onboarded our first big fish – the Westin Hotel. What was the overall experience like for you and Hyre? ES: E20X was very valuable. It is rare to get the attention of so many industry professionals and decision makers at once. I think that for me, participating in the competition helped establish myself as an expert in hospitality staffing. For Hyre, HITEC helped us expand our professional network and create long lasting relationships. What was the single best piece of advice you received? ES: Make sure your business is solving a real problem and is not just a nice-to-have. What advice would you give to someone participating in future E20X competitions? ES: Practice your pitch, and make sure you are familiar with the type of audience that will be listening to your presentation. Do not go over the time allotted. 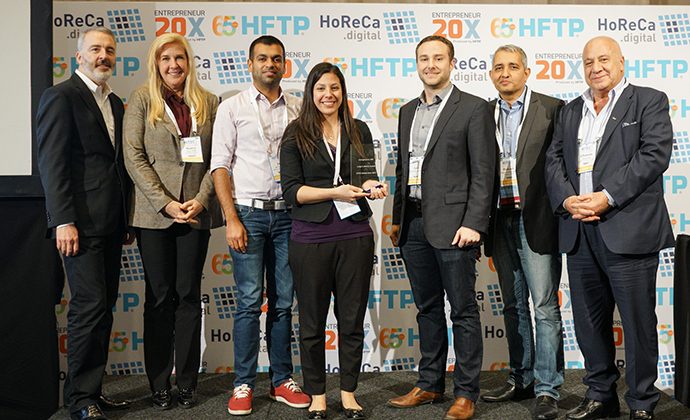 Hyre CEO Eropa Stein, center, awarded for winning both the E20X Judges’ Award and E20X People’s Startup Award at HITEC Amsterdam 2017. What does it mean to you personally to win both the People’s Startup Award and Judge’s Award? What does it mean to Hyre? ES: It was such an honor to win both awards. The E20X competition Judge’s Award in a way validated our business model. The People’s Startup Award proved to us that customers wanted our solution. What tips would you give other hospitality startups? ES: I would ask them to make sure that their technology is really solving a pain point for hoteliers and if so, keep persevering through the tough times. 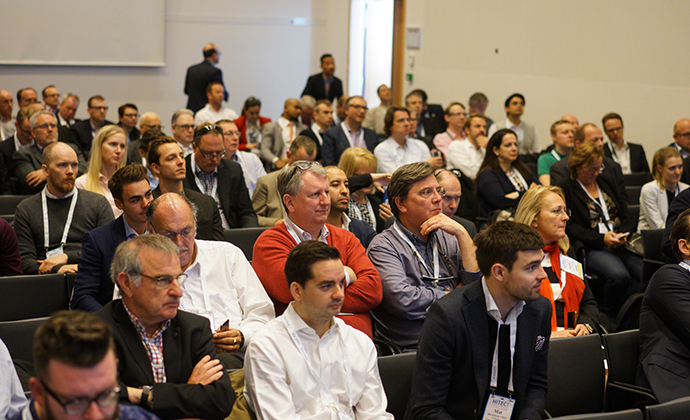 What did you think about HFTP’s inaugural HITEC Amsterdam? 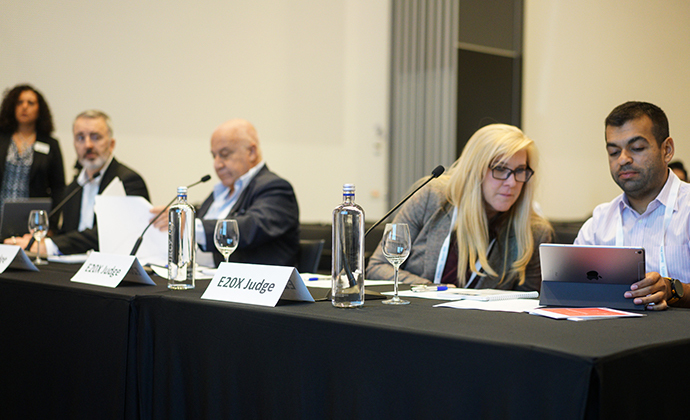 ES: It was extremely valuable to speak to so many industry professionals over the course of three days. I felt a strong sense of community at HITEC. This year’s larger North American event, HITEC Toronto, will take place from June 26-29 at the Metro Toronto Convention Centre in Toronto, Ontario Canada. Serving as the second HITEC and E20X of 2017, E20X Toronto will take place on Monday, June 26 from 1:00 to 4:00 p.m. at HITEC Toronto. Click here to read an exclusive interview featuring E20X winners from HITEC New Orleans in 2016.